The Aquarius boy is a bright individual from birth. He does not consider it necessary to follow generally accepted norms, acts in accordance with personal interests. Highly intelligent, Aquarius will always find the right arguments to convince the surrounding people of their right. Parents often retreat before the pressure of a stubborn son, to subdue the will of a rebel — a difficult task. Aquarius boy tries to lead a rich lifestyle, his inquiring mind seeks ways to diversify the gray routine. Boredom is the worst enemy of a restless guy, he is attracted by an inordinate thirst for discovery. Friends know the ability of Aquarius to act quickly and decisively, so they try to meet his high expectations. The close environment of a gifted guy consists of interesting, enthusiastic people. The boy’s belonging to the air sign can be traced in character traits: impetuosity, impermanence, sociability. The boy enjoys great popularity among peers, although sometimes he behaves disparagingly towards them. He is completely focused on his thoughts and feelings, Aquarius will not support the erroneous opinion of even the closest person. The boy Aquarius at any age carefully analyzes the events. Despite the tendency to rebellion and disobedience, the guy behaves extremely sensibly. Parents can be calm for their son, he sets himself goals that will certainly lead him to success. The guy can choose any profession, the activity related to technology is considered preferable: engineer, computer engineer, inventor. Aquarius is very independent from the very childhood, it is impossible to force the boy to follow generally accepted norms and rules. A guy who is independent in his judgments is able to make rather unexpected decisions. For this he has the necessary qualities: a sharp mind, flexibility, liveliness. The boy easily breaks the barriers, violates the prohibitions — he just follows the call of the heart. Aquarius can come to the solemn event and hand in a gift basket with a kitten. He sincerely admires the cute creature, so he hurries to share his joy with the birthday boy. The boy will ignore the puzzled look of the culprit of the celebration and numerous guests. Aquarius has inner freedom, has a strong character. He is not afraid to express and lag behind his bold thoughts. The boy knows the purpose and the ways of achieving it, what can stop it? It is almost impossible to convince a stubborn guy. Even in case of failure, Aquarius will not become discouraged, he will certainly achieve the desired result. Determination and perseverance are the main secrets of success in any business. Belonging to the air sign determines the inconsistency in actions and judgments. Freedom-loving boy is bored to live a measured life, a guy tries to escape from the circle of routine affairs by any means. He can arrange a fun joke or unexpectedly break into an unplanned trip. Without a lack of new impressions, the boy loses his ability for non-standard thinking. Parents should support his desire for original actions. Aquarius has all the necessary qualities to become famous, he can become a great scientist or a famous actor. The people of the Air element are distinguished by the ability to communicate. Aquarius feels the need to be among friends, it needs to exchange impressions, which is especially important — information. An inquisitive guy enjoys acquaintance with people, for him they are a source of new knowledge. At the same time, the boy will never merge with the crowd, he always has his opinion, even if it does not coincide with the majority’s decision. Friends forgive a lot of unpredictable Aquarius, he is valued for quality: the mind, non-standard thinking, mischievous temper. A boy is a leader, a favorite of peers, but sometimes he avoids society. The decisive role is played by the environment: sociable Aquarius will not spend time with unpleasant people. Aquarius — restless child, he tirelessly explores the world around him. A kid can ask not one hundred questions a day, dismantle all the toys in the house. Logic games cause a lively interest in an inquisitive boy, the best gift for Aquarius is puzzles, a designer, the process so captures the child that he forgets everything in the world. Parents can breathe a sigh of relief, a little rest from the restless baby. At school, Aquarius pays time only for those subjects that cause his interest. The boy is easily given the exact sciences, he likes to study technical devices and devices. Teachers pay attention to a capable guy, his ability to think outside the box. He can confound the experienced teacher with the most unexpected question. Aquarius does not seek to participate in school amateur performance, even if it has creative abilities. He likes research, dancing and singing — a waste of time. In adolescence, the young man fully manifests a freedom-loving disposition. He can spend a lot of time with friends or sit at the computer monitor. The guy reacts aggressively to any comments, does not consider it necessary to listen to the opinion of the parents. Adults must accept the rebellious spirit of their son. It is better to pay attention to the physical development of the young man, he spends too much time at the computer. The boy may have problems with his posture, he should walk and go in for sports as much as possible. 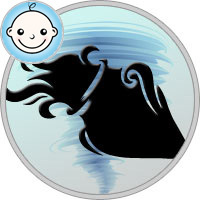 Aquarius does not cease to amaze parents throughout life, it is distinguished by persistence and determination in achieving goals. An independent boy admires his desire for independence, adults should respect his desires. The boy differs mind and reason, he will not do stupid things and irreparable mistakes. Communication and personal example are important moments in upbringing. It is necessary to talk with your son as often as possible, spend a lot of time with him. The boy should be able to hear people, respect and appreciate their opinion.